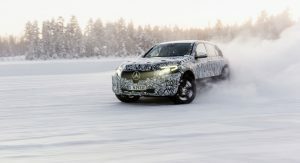 Mercedes has released the first pictures of the EQ C ahead of its debut at the Geneva Motor Show. Previewed by the Generation EQ concept, the production model is roughly the same size as the GLC but it has unique styling which hints at its alternative powertrain. 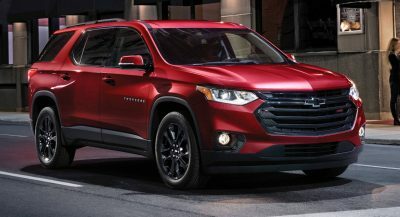 While the teaser images don’t reveal much, previous spy photos have shown the crossover will have an all-new front fascia which closely echoes the concept. 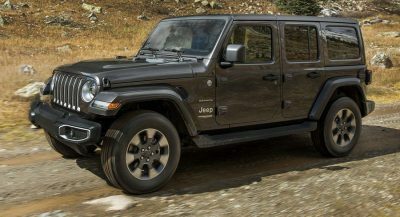 Key changes include new headlights, a distinctive grille and a more dramatic roofline. 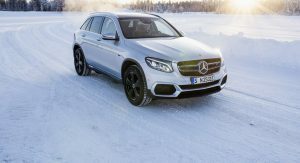 The EQ C will go into production in 2019 and Mercedes has announced the crossover has successfully completed its winter testing program in northern Sweden. 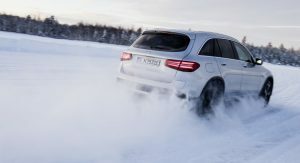 As part of the testing regimen, the EQ C and GLC F-CELL were subjected to snow-covered roads, handling courses and skid pads on almost sheer ice. The models also had to deal with gradients of up to 20 percent and temperatures as low as -35° Celsius (-31° Fahrenheit). 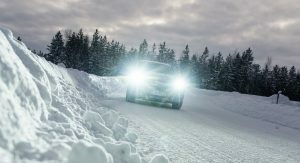 Since the EQ C is electric, it needed to undergo additional testing to ensure its powertrain could handle the extreme conditions. As Mercedes explained, engineers examined the vehicle’s range, charging cables and operating strategy. 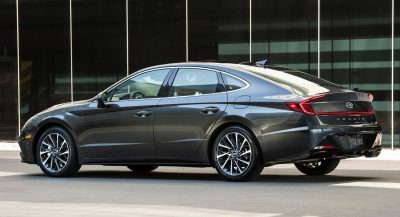 They also monitored the climate control system and the output of the electric powertrain. Performance specifications remain unconfirmed the EQ C is expected to have two electric motors as well as a range of up to 310 miles (500 km) on a single charge. This has to be the most interesting MB to me right now. me too. 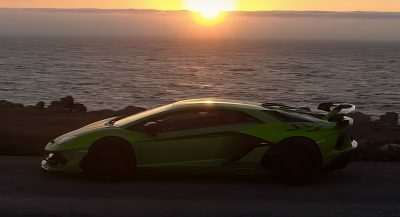 this and the audi e-tron. the germans aren’t playing around! hey whatever works. you can always count on mercedes benz to pull off an awesome lineups. Why is it important there are significant differences? What sense does it make for a company like Mercedes to completely re-engineer virtually the same car for two different power trains? Obviously the platforms will be significantly different between ICE and EV, but if they wish to use the same passenger structure as the GLC then I don’t see that to be a problem. Does an EV require different doors and roof to an ICE vehicle? I think not. Ok I’m confused by everything you’ve just said. Tesla’s ‘incredible driving experience’ is down to a few things, in my mind: Crazy acceleration, lack of noise, and autopilot. Of those things, which one is affected by the type of body shell Mercedes uses? Also Tesla’s probably have the LEAST interaction between man and car. No gearbox, no engine noise, no need to even drive the car in some scenarios – where is the interaction? Glad they are back with big star on the grill. It was pathetic small on previous ML class, so ugly. They should also get rid of the ugly plastic glass covering the stars too! The glass on the emblem hides the radar system. I know but it is very ugly!